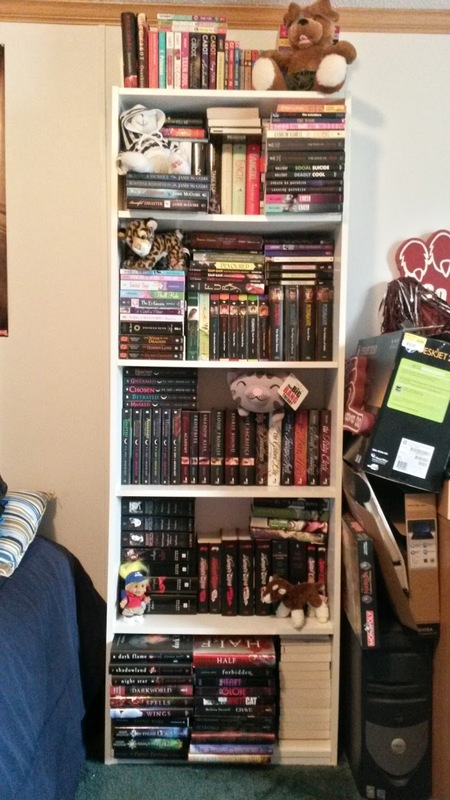 We're over halfway through looking at my shelves! That's kind of sad... I wish I had more. As some of you may know if you’ve been keeping up with my posts, I went home over winter break. 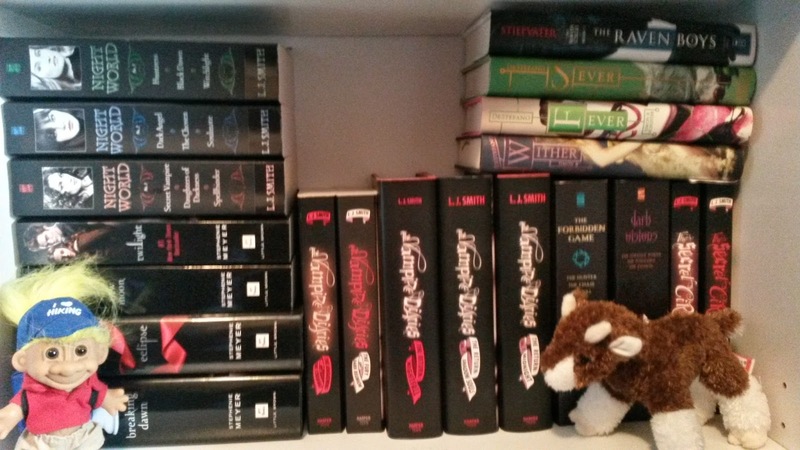 Besides my family and dog, the thing I love most about going home is drooling over my own bookshelves. 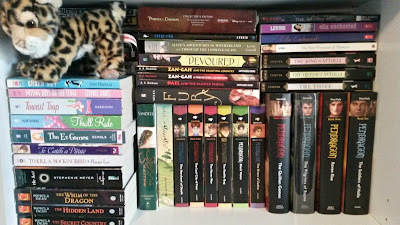 See, I leave all of the books I’ve read, along with some I haven’t, at home so I don’t crown my apartment. There’s limited space in that sucker. 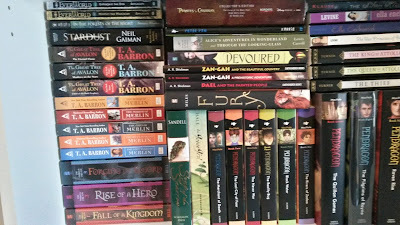 About twice a year or so I manage to get home for long enough that I can rearrange my bookshelves. Usually it’s once in the summer and once in the winter. 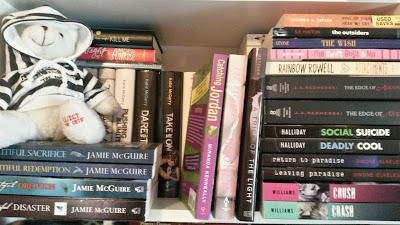 Now, because I rearranged, I have some updated bookshelf pictures for you to ogle. But, instead of showing you all of them at once, I’m just going to do one full shelf at a time. 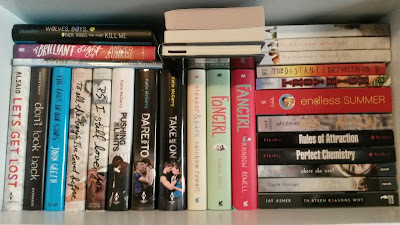 Today’s shelf is another one that is overflowing. Heck, who am I kidding? 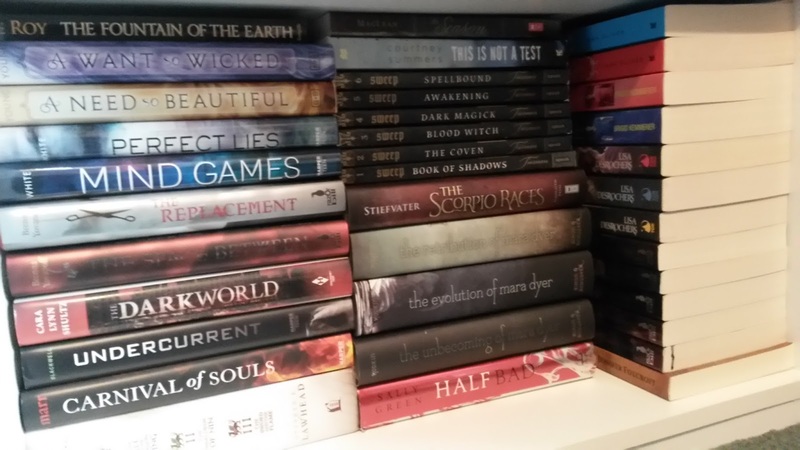 They're all overflowing. I need more shelves. 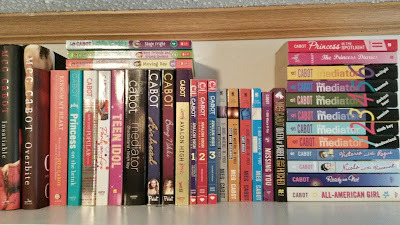 The very top shelf has my Meg Cabot collection residing on it. Gotta love Meg Cabot. 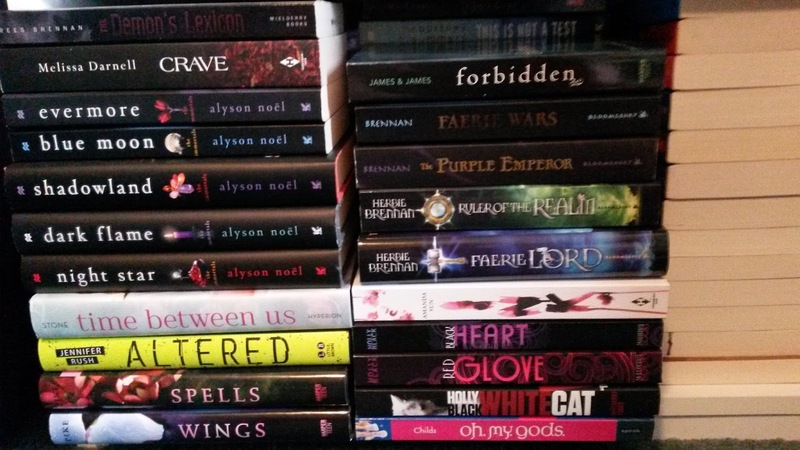 The next shelf holds YA and NA contemporary books. I actually don't own a whole lot of these, there's just not a lot of space on this shelf. 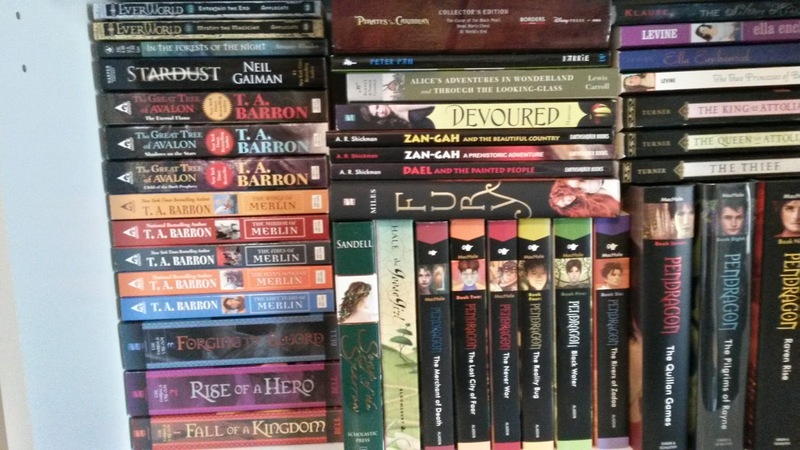 This third shelf is a mix of YA contemporary, middle grade, and fantasy. Basically, there's no order to it. For this shelf I have some YA paranormal and a stuffed kitten that sings the "Soft Kitty" song from Big Bang Theory. 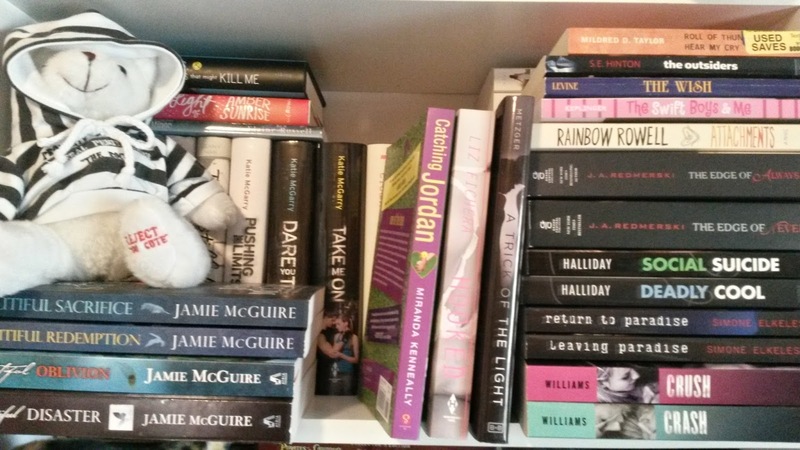 This is the neatest shelf in Bookshelf #3. Another semi-neat shelf. 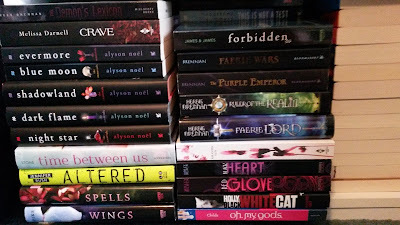 This one holds some YA paranormal and a few leftovers. 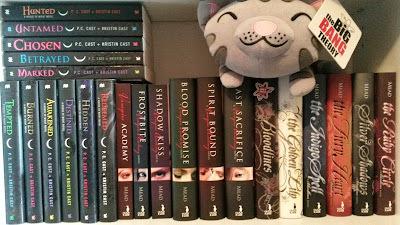 On this shelf there are a variety of books that I either didn't really enjoy or that I haven't heard anything about a sequel coming out OR that I need to buy the updated covers to. Alright, there you have it. 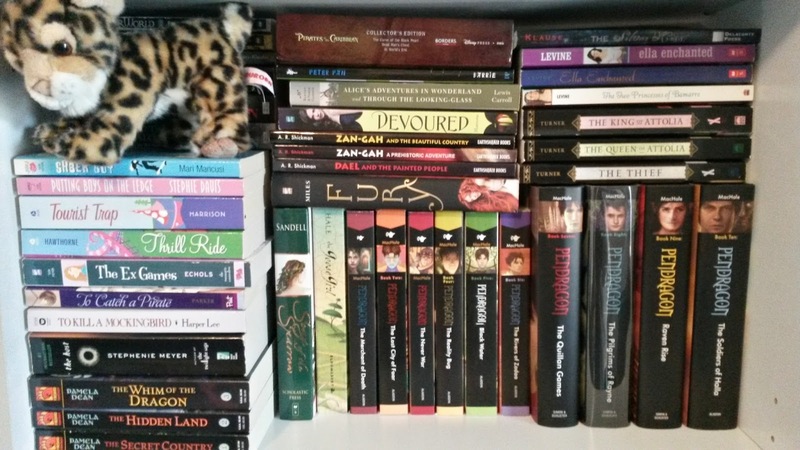 That’s Shelf #3 in all of its glory! What do you think? Any arrangement tips?